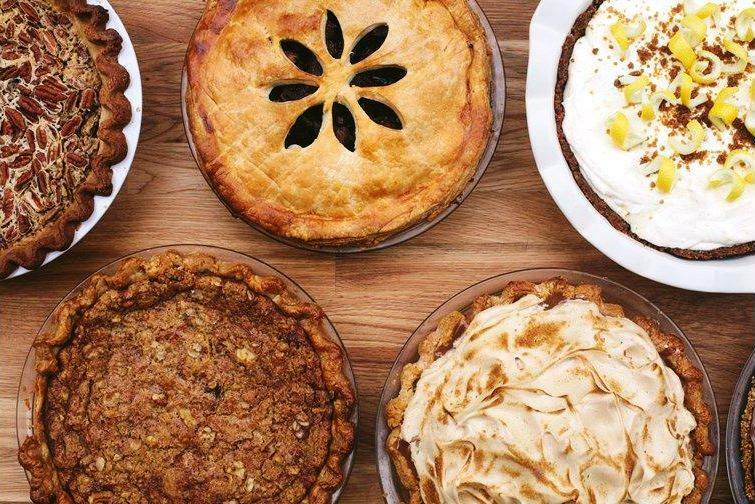 National Pie Day is an unofficial holiday that is observed annually on January 23rd and celebrates that baked dish made out of pastry dough and filled with a tasty and usually sweet filling. Since 1986, #NationalPieDay has been sponsored by the American Pie Council. Cooking and storing pies safely is very important because bacteria that can cause foodborne illness can grow in certain pies kept at room temperature, especially when the ingredients include milk and eggs. Pi Day or Pie Day? 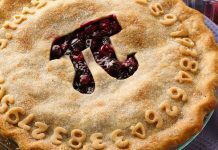 Pi Day on March 14. Do you know which pies have to be refrigerated? If a pie contains milk, cream and or eggs, it has to be refrigerated to remain food safe. This includes milk and cream in any form – regular milk and cream (no matter what the fat content), buttermilk, sour cream, cream cheese, and evaporated and condensed milk products. Those ingredients contain high levels of protein and moisture that are fertile grounds for the growth of bacteria. Which pies contain milk, cream or eggs? Always check the recipe. Typically though, pumpkin and pecan pies do contain eggs, but fruit pies do not. 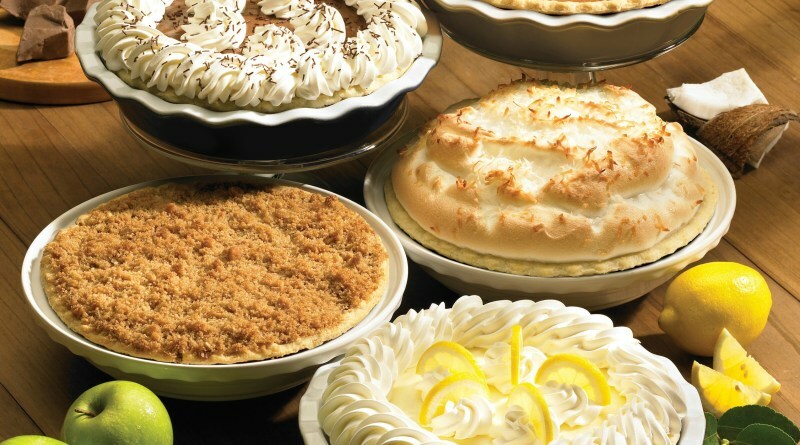 Lemon meringue and all types of chiffon pies contain eggs, so they have to be refrigerated. Pumpkin pies are a custard-style pie made by using eggs and milk. Food temperature controls are especially important with foods classified as potentially hazardous. 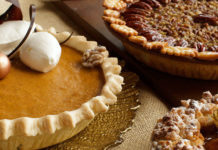 According to the USDA, it is not safe to eat homemade pies with egg-based fillings that have been allowed to sit at room temperature for two hours or longer. The reason is that bacteria will grow rapidly when the homemade pie is kept at temperatures between 40°F and 140°F. To prevent foodborne illness, the pie should be refrigerated within two hours. How do I store a pie once baked? After baking, pie should be left at room temperature as the cooling process normally takes 2-4 hours. Within 4 hours, the pie should then be placed in the refrigerator. Cover loosely with plastic wrap until serving. Pie may be refrigerated for 2-3 days. After cooking a pie, cool it at room temperature for only 30 minutes after removing it from the oven. Then, refrigerate it to complete the cooling. It’s okay to place the pie in the fridge if it’s still warm. Store-Bought Pies at Room Temperature? 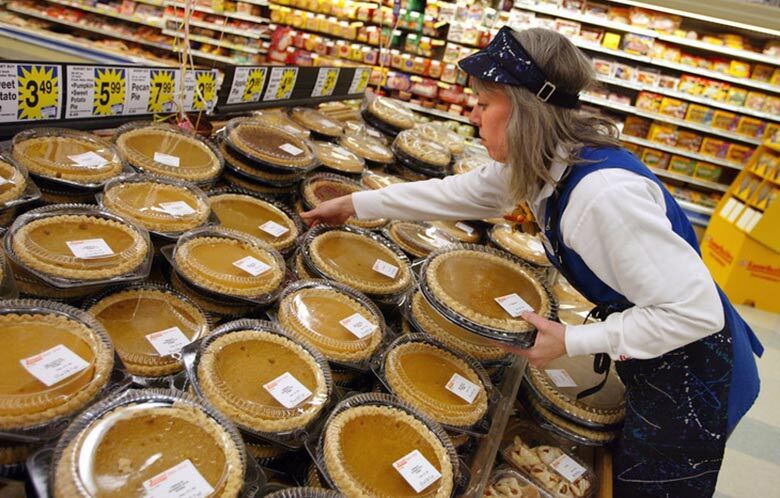 You may be wondering why it is that you see pumpkin or pecan pies on display at the grocery at room temperature? 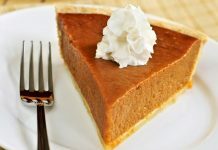 Food safety specialists point out that it is because commercially produced pumpkin pies have preservatives and other ingredients added to make them shelf-stable to prevent germ growth for five days. This is identified by proper labeling found on the box or container. However, even those pies should be refrigerated for storage at home especially after they have been cut. 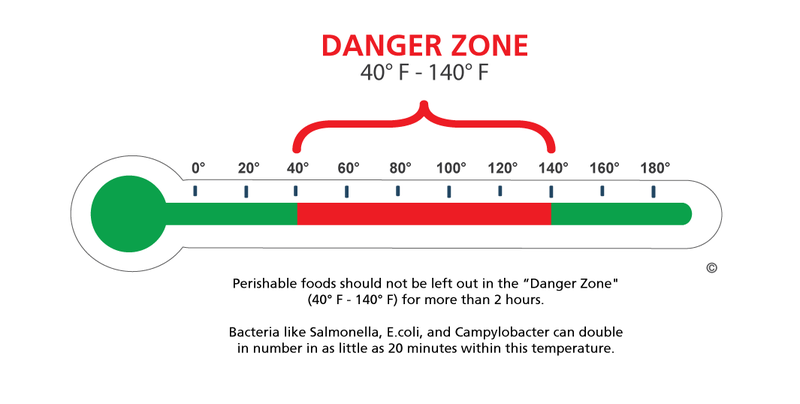 The Temperature Danger Zone is the temperature range – between 40 °F and 140 °F – at which bacteria grows rapidly. Just because it’s a holiday and your refrigerator is full does not mean that the “two-hour rule” isn’t in effect. Food should not be allowed to sit at room temperature for more than two hours. Two hours is the time for bacteria to multiply to the quantity that could cause foodborne illnesses.